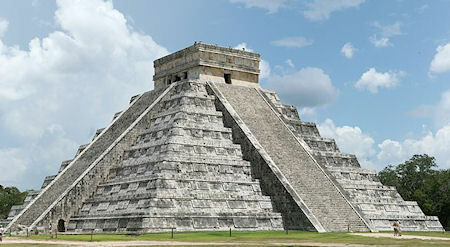 Using satellite imagery and ancient Mayan astronomy charts, 15-year-old William Gadoury from Quebec, Canada is believed to have discovered a previously unknown Mayan city deep in the jungles of Mexico. The idea first struck Gadoury when he noticed that the Maya built their cities away from rivers, electing more marginal areas and even mountainous regions. He hypothesized that they must have had a different reason for choosing their locations.